One of my greatest joys at the flea market is when I find jewelry and accessories. It is important to say at this point that I am never looking for anything specific. For me, it is about the thrill of the hunt, the fresh air, the low prices, the smiling people, and a really cold diet coke. It is about pulling my cantankerous cart, wearing one of my favorite hats, and wearing my flip flops. 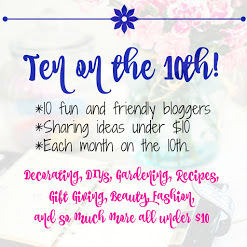 The jewelry treasures I find are never more that $10, which makes them perfect for this month's Ten on the Tenth celebration on fashion. 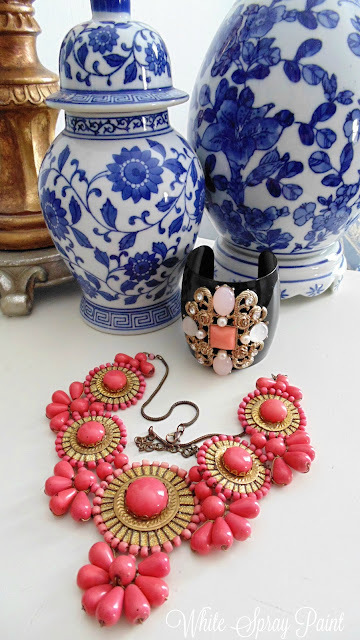 Here are a few of my fashion favorites from the flea market. Let's begin with my all-time favorite . I was standing at the back of Oscar's trailer piled high with boxes one Saturday morning at the McAllen flea market. When he began to open boxes and pull things out, and I spotted a leopard print tote, I tried to casually say, "May I have that?" It was the like new Consuela bag above:) Price $5. And then there was the vendor across from Oscar. 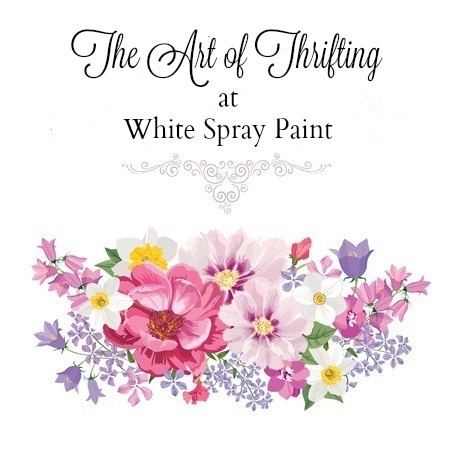 He had mountains of tangled jewelry on 3 large tables every Saturday and Sunday. Weekend after weekend,I was in heaven, tangles and all. How have I worn these? The necklace looks wonderful with a white linen shirt, and I wore the black cuff with a black tunic and white cropped jeans. And then there was the jewelry lady at the Hidalgo flea market. Each Friday, Saturday, and Sunday she had the most amazing things- all new with tags. I bought all of the door knocker earrings for $3 a pair. 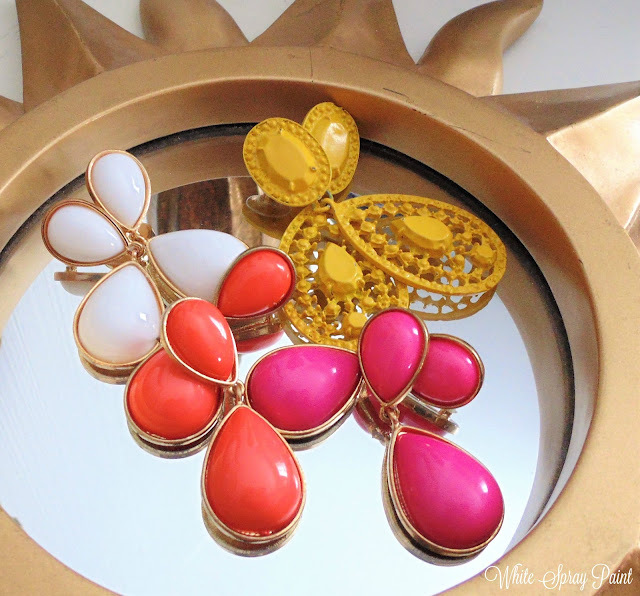 Does anyone remember the Anne Klein lion's head door knocker earrings? How have I used these? With white linen or white cropped jeans, or some of my Mexican tops. And then there are some of my favorite vintage flea market accessories. 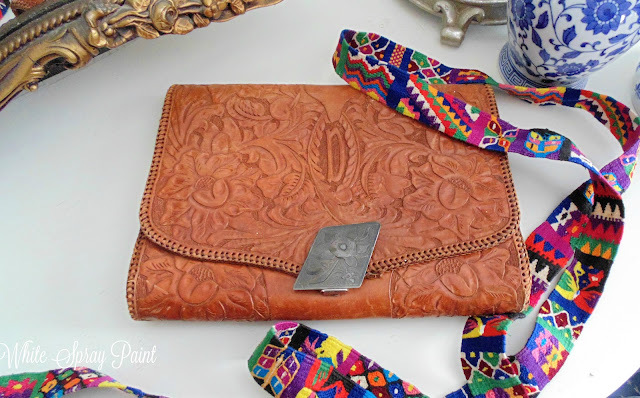 I LOVE this vintage tooled leather clutch from Mexico and the Guatamalan belt. If memory serves, the clutch was $4 and the belt was $1. How have I used these? 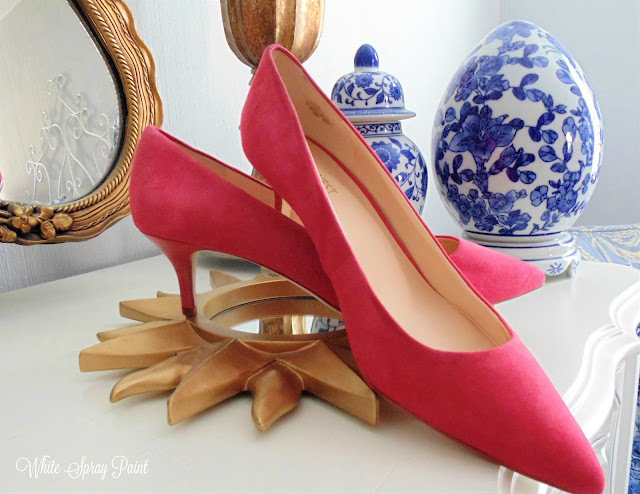 And these Nine West pink suede heels (new with tags) from the Ascarate flea market here in El Paso? They were $5, and they make me laugh when I look at them. Especially when you wear a size 9. 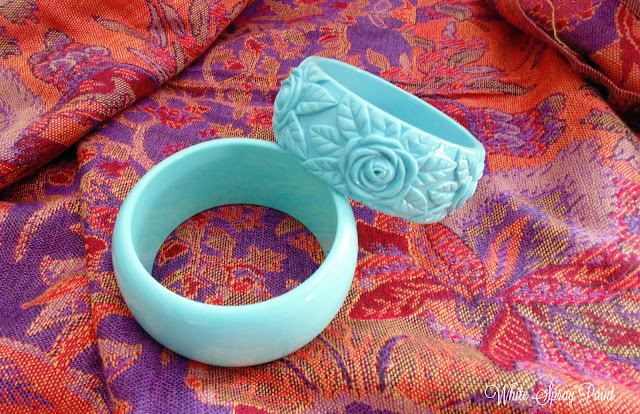 And if I love cuffs, I ADORE bangles. I have millions. I like anything with a repousse finish. Here are two more examples of favorites. I hope you will visit all of the other wonderful ladies below.They are all so smart, and I know you will love their posts. Today I coined a garden expression that describes how I have recently felt. And how nice it would be if the previous owner had walked outside over the years and realized things needed to be planted. And an interesting thing happens when you let common sense speak and you get over yourself. 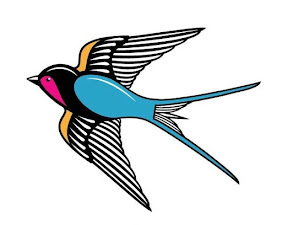 I am planting roses that are hot colored- like the colors in talavera. So my new Tropicana rose (above) has big plans to show off someday. For now the days of soft pink roses and traditionally weeded and manicured beds are not what calls to me. It isn’t about the perfectly staged or aligned. It is back to my roots. It is back to Rancho Landscaping:), which I defined years ago in a conversation with my dear friend Anna, at a birthday group celebration held at my house. I told her I had hit upon a name for how I garden and my kind of landscape design. daring, a little shy… jammed in the ground with high hopes and a smile. and digging holes and planting as many wild colored things as I can find. And now I know it is going to all be ok.
Garden Party with dear sweet hostesses.